There will be no charges filed in the allegations of sexual harassment involving a San Diego congressional candidate, officials announced Monday. The San Diego County District Attorney’s Office and Chief of Police announced the decision not to file charges in the allegations of harassment made by a former staffer against Republican Carl DeMaio who is running for the 52nd District seat against Democratic incumbent U.S. Rep. Scott Peters. Former DeMaio staffer, Todd Bosnich, said he was subjected to unwelcome touching and repeated sexual harassment while working on the congressional campaign for the former San Diego city councilman and 2012 mayoral candidate. 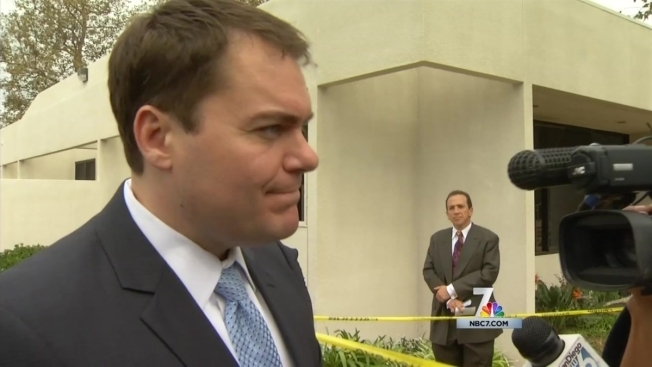 Candidate for the 52nd District Congressional seat Carl DeMaio talks with NBC 7's Rory Devine on Wednesday, Oct. 15, 2014 in response to sexual harassment allegations made by a former employee. On Oct. 10, Bosnich released polygraph results that supported his claims that DeMaio sexually harassed him. DeMaio called Bosnich "clearly troubled" and said the former campaign worker "manufactured a story" to cover for a plagiarism incident earlier in the year. On Monday, the San Diego County District Attorney’s Office announced it has completed its review of the sexual harassment claims against the candidate. The DA’s office said there is not enough evidence to press charges. The California’s 52nd District Congressional seat is one of the most contentious races in the country. 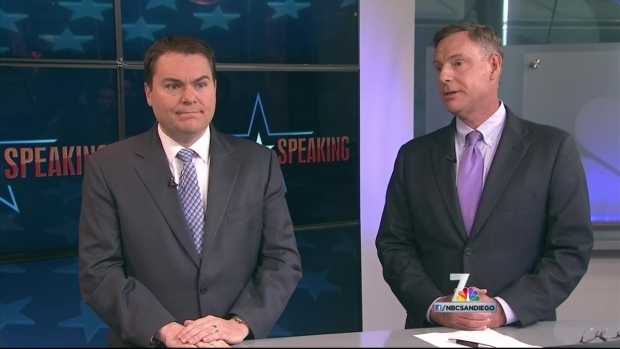 Congressman Scott Peters and challenger Carl DeMaio are locked in a tight race that's been rocked by scandal this week. NBC 7’s Liberty Zabala reports. "This is a happy day," said DeMaio. "This confirms what I was told long ago — not a shred of merit to these allegations." 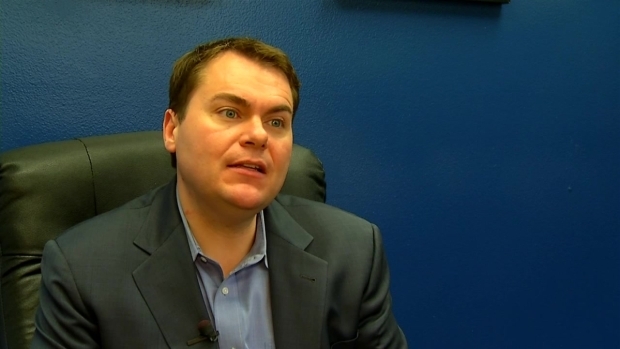 At the same time, both offices said there would be no charges in the DeMaio campaign headquarters break-in. DeMaio had alleged that Bosnich was responsible for the break-in. “The San Diego Police Department’s investigations of these matters have been very thorough, objective and professional. SDPD committed significant resources to the investigations and no stone was left unturned,” District Attorney Bonnie Dumanis said in part in a statement Monday. SDPD Chief Shelley Zimmerman said, "Both the alleged burglary to Carl DeMaio’s campaign office and the allegations of sexual misconduct against Carl DeMaio were taken seriously and investigated thoroughly by the San Diego Police Department." Bosnich's attorneys released a statement Monday, saying their client is pleased the DA has cleared him. “As a hopeful for public office, it has always been disappointing that despite the lack of evidence noted by the District Attorney, Mr. DeMaio attempted to convict Todd of a crime he did not commit in the public eye," the statement read. For his part, DeMaio said he was "disappointed that not enough evidence existed beyond a reasonable doubt to convict him of his crime against the campaign." Also Monday, several sources told NBC 7 that FBI agents were questioning potential witnesses in connection with anonymous emails sent to Bosnich. A source close to the investigation told NBC7 Investigates the emails threatened Bosnich's political career and put pressure on him to accept the $50,000, saying "you better keep your mouth shut and take the deal." In an interview with CNN, Bosnich claims that after he confronted DeMaio regarding inappropriate behavior in the workplace he was offered a position with the San Diego County Republican Party, instructed to sign a nondisclosure agreement and offered a payment of $50,000.